If you are interested in working at Rehwaldt Landscape Architects you may submit an unsolicited application at any time. Please send us your curriculum vitae and a portfolio in digital form. We will contact you if we are currently employing and if your application has awakened our interest. We appreciate your understanding that we cannot respond to each application personally. Students who don’t want to lose contact to professional experience can work at our company as working students. We offer a mostly flexible working schedule on one or more days a week. 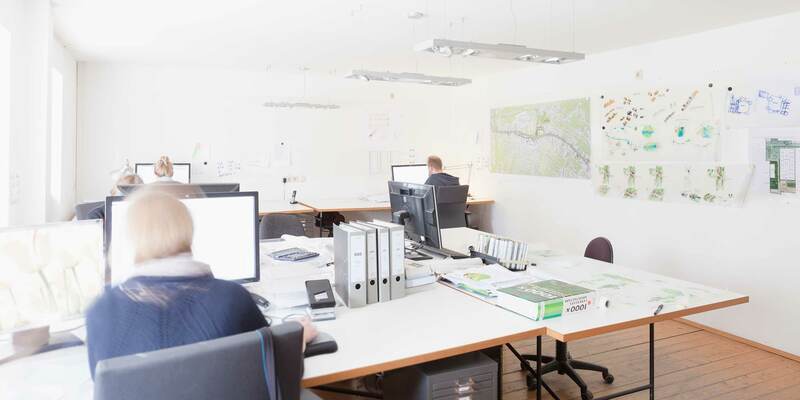 Requirement for this occupation is generally a completed vocational internship or sufficient working experience in the daily routine of a landscape architecture office. We appreciate your understanding that we cannot take all applications into consideration, as we only offer 2-3 jobs at the same time. An internship with Rehwaldt Landscape Architects offers the possibility of an insight into the various aspects of our profession. Practical experience can be gained in the fields of planning and realisation of projects as well as competition processing. The interns encounter very different tasks under the supervision of experienced mentors and can set their individual subject-specific focal points. If you are interested, we ask for the submission of a compelling portfolio and the specification of the desired period of internship and location.